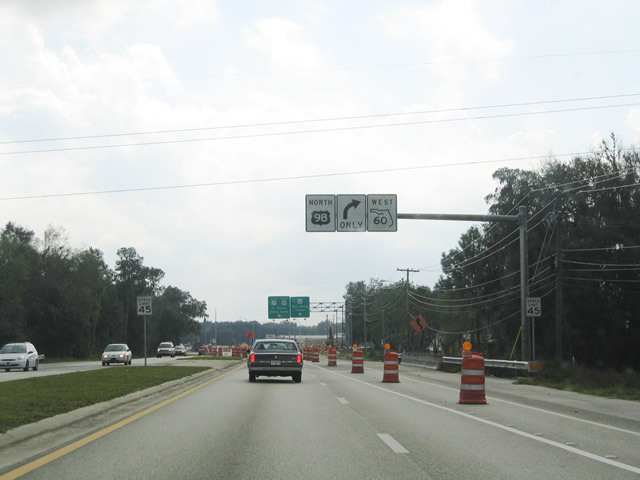 Southbound U.S. 17-98 approaches Florida 60, a transpeninsular route that travels across Florida. U.S. 17-98 and Florida 60 meet in Bartow in Polk County. Photo taken 11/18/03. Page Updated February 23, 2005.